Marvel announced recently a new multi-platform animated installment to be released next year. It will start with six, four-minute-long shorts that will spotlight Spider-Gwen with her new name Ghost-Spider. The shorts will lead to the feature length animated movie Marvel Rising: Secret Warriors. 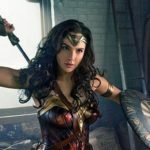 This is a tremendous step forward since it features not only a diverse cast, but a heavy female driven cast as well. 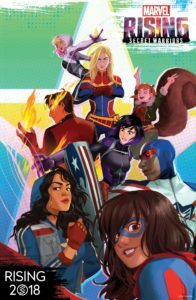 This team features the next generation of Marvel’s latest heroes, but also fan favourites that have gained popularity recently like Squirrel Girl, America Chavez, Patriot and Ms. Marvel forming a team of unlikely heroes to battle Hala. She’s Beauty. She’s Grace. She’ll Punch You in the Face!